Wooden decks and fencing can give a home’s property a rustic warm glow or a rich stately look. However, the work involved in keeping them stained or painted can take up a major part of your summer. The good news is that there is now a way to have the professional-looking outdoor living space without the drudgery of the yearly upkeep. New synthetic materials have brought an end to fading colors and the threat of breeding mold and mildew on decks and fences. Composite decking is made from a variety of materials, mainly wood byproducts and plastic. While vinyl, aluminum and plastic have been developed as an alternative to wood decking, composite decking has gained the most popularity. Some manufacturers go one step further and place a protective layer of PVC capstock over composite decking to create a hardened shell and to keep the stain from getting scratched as easily. Composite decking and fencing are more expensive when initially purchased, but the fact that they are low maintenance makes the investment worth the extra cost. The improvement in low maintenance decking and fencing does not end with the improved composite technique. 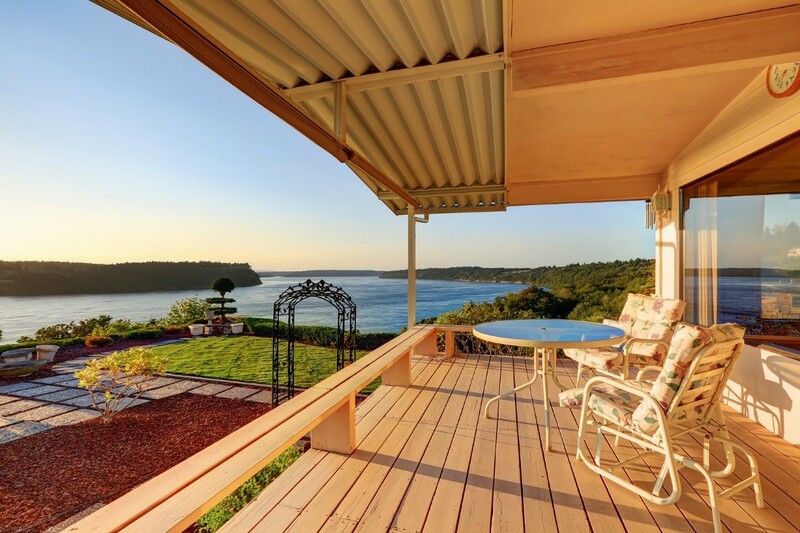 One product, called Timbertech, takes the durability of decks and fences to an all-time high. Instead of just treating the surface of the composite boards with PVC capping, all sides have this protection added. This extra move keeps moisture from seeping into the material and shortening the lifespan of the boards. Guaranteed for up to 30 years, Timbertech decking is the ultimate in carefree outdoor living without maintenance. In addition to being a sustainable product on all levels, the natural colors are shaded to blend in with any type of exterior and style. By using a composition of wood byproducts, plastics and other fillers, superior products have been designed to create the natural look of wood, requiring far less care, and stay aesthetically pleasing for many years. Ask your deck builder or fence contractor for recommended manufacturers that specialize in composite decks and fences. There are differences in the manufacturing process according to company. For instance, some composite wood boards are hollow and some are solid. Colors and materials may also vary. Your contractor can help you to determine which type is best for your home and property.